Careful iconographic research. extreme attention to detail and study of the black and white films of the era have led to an unprecedented result in the world of resin statues of this format. Nothing has been overlooked. not even the tiniest details. 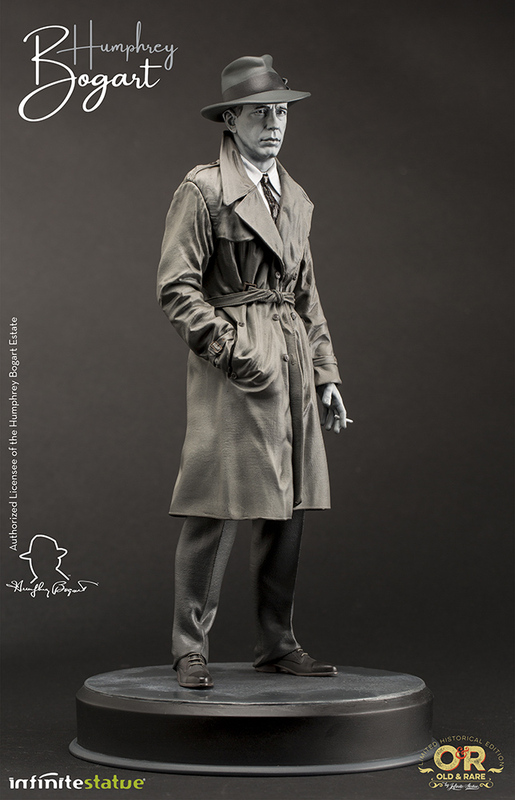 such as the belt loops or buttons on what is now the most faithful possible representation of the trench coat worn by Bogart in one of the most famous scenes in the history of cinema. A statue. but also a tribute to the greatness of a legendary actor. an unforgettable man.